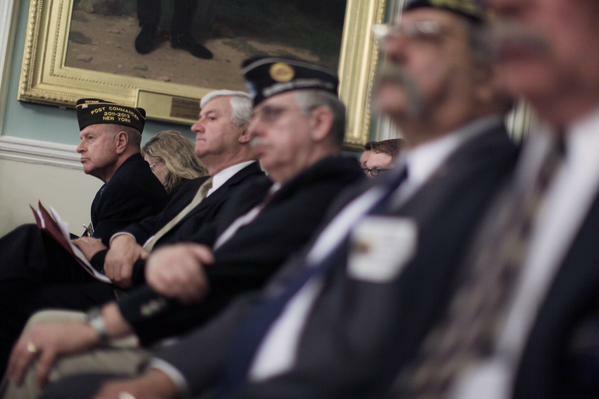 The hearing seemed the latest chapter in a renewed push for a separate Department of Veterans Affairs by Council Member Eric Ulrich, who chairs the veterans committee, and like-minded council members and advocates. Ulrich introduced a bill last year which would create a new department to deal with veteran affairs, removing the office from directly within the mayor’s in order to increase its profile, funding, and transparency. “Ideally such an agency would be fully funded and would act as a one-stop shop for any need that a veteran might have,” Ulrich said at Wednesday’s hearing. He stressed that MOVA needs dedicated funding and personnel to better serve New York City’s 225,000 veterans. MOVA Commissioner and retired Army Brigadier General Loree Sutton testified before the committee and reiterated her office’s top strategic priorities in serving veterans’ needs, namely ending veteran homelessness, focusing on mental and behavioral health for veterans, and developing employment opportunities for veterans. Mayor de Blasio announced at his 2015 State of the City address that he would end veteran homelessness by the end of 2015 and Sutton indicated today that she was confident of reaching that goal. “Mission and strategy drive programs and budget,” Sutton said in her testimony. She repeatedly stressed that MOVA’s work goes beyond it’s own budget and personnel, working with multiple city agencies to help veterans in need. When asked, Mayor de Blasio has not supported the idea of creating a new agency. The proposal received overwhelming support today from veterans advocates and organizations and even the office of Public Advocate Letitia James. “Disappointingly, our Mayor’s Office of Veterans’ Affairs is not funded in a way that reflects the actual needs of our veterans,” said Oswaldo Pereira, a veteran and outreach coordinator for the public advocate’s office, who was speaking on behalf of James. “Veterans deserve to have a department that can truly serve their needs,” he added. There was much focus at the hearing on mental health issues, a concern raised by committee members Cabrera and Paul Vallone. Sutton told Cabrera that mental health issues were “an area in the system that could use some additional development.” Toward that, she pointed out MOVA’s partnership with First Lady Chirlane McCray through the recently announced Mental Health Roadmap due to be released in the fall. Vallone was quick to point out that the $54 million plan failed to mention veterans. “When I see this go up and I don’t see my veterans in here, I gotta fight for it,” Vallone said. Sutton promised the committee, however, that when the final strategy is released, veterans would figure significantly. Representing the Veterans Mental Health Coalition of New York City, Melissa Earle also called for expanding MOVA to the level of a department. “With a department dedicated to serving veterans, greater resources and funding can be secured to better overcome the complex challenges of veterans of all generations,” she said. Ulrich’s bill has a veto-proof 40 co-sponsors (in the 51-member body) and he has indicated that he would be willing to push it forward even without the mayor’s support.